Simply the best training for movement motivators. 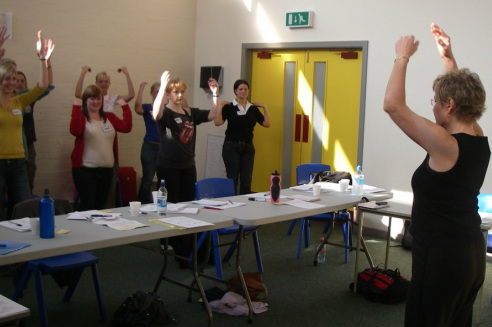 We coach and develop leaders, therapists, trainers and presenters. For the Love of Fit was founded in 1984 to promote excellence in health and fitness leadership. Since then, we have had the pleasure of training hundreds of fitness and aqua fitness leaders, as well as rehab specialists across Canada and internationally. This journey to four continents and numerous countries, has allowed us to meet incredible people who focus their energy and talent on helping others. On this site, you will find a listing and description of workshops, courses, keynotes and educational products. There are blogs and downloads to help you succeed. Always, our motivation is the welfare of the end-user - the aqua fitness participant; the person in pain after injury or surgery; the inactive individual hoping to create a positive life-change. Our enthusiastic approach to active learning is the key to your excellent learning experience. By providing research-based, quality training for therapists and instructors, we will help you improve lives through movement. Thanks for visiting. Please get in touch with comments or questions. 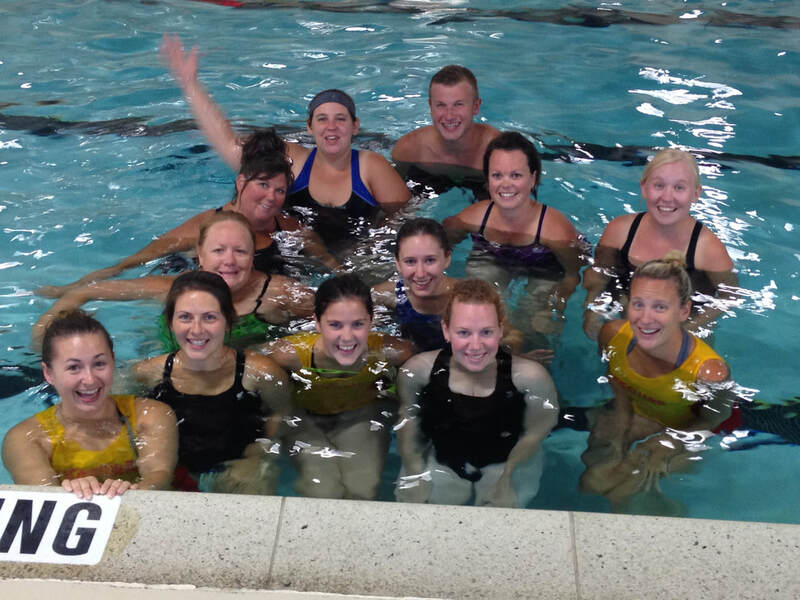 Since 2000, we have developed world-class training courses for aqua fitness leaders and aquatic rehab specialists. We specialize in creating custom workshops to suit your training needs. Get in touch! AQX Aqua Fitness Leadership Excellence, was founded in 2011 to provide high-quality, affordable in-house training for municipalities and organizations. Now in five provinces and Nunavut, the AQX program continues to grow! Pool administrators recognize the value and benefits of AQX. Autonomy: Facilities to make their own decisions about their on-going programming and staff training. Recommendations for best practices are given. Flexibility: The shape and delivery of your AQX program is determined by your needs. AQX provides recommendations based on best practices and industry standards. Practicality: AQX training is focused on practical leadership skills with adequate theory to support good decision-making. The theory level of the AQX course is set at a grade 11 – 12 level, making it attainable for most leadership-trainees, including lifeguards. On-line training is available and growing! Progressiveness: AQX encourages staff training and development. Staff with strong skills are encouraged to become Mentors, Assessors, and eventually, AQX Course Trainers (the MAT-Team). Inclusivity: AQX is designed to bring leaders from a variety of backgrounds under one umbrella by recognizing valid 3rd party certifications (ie: YMCA, CALA, WaterArt, AEA, etc. ).